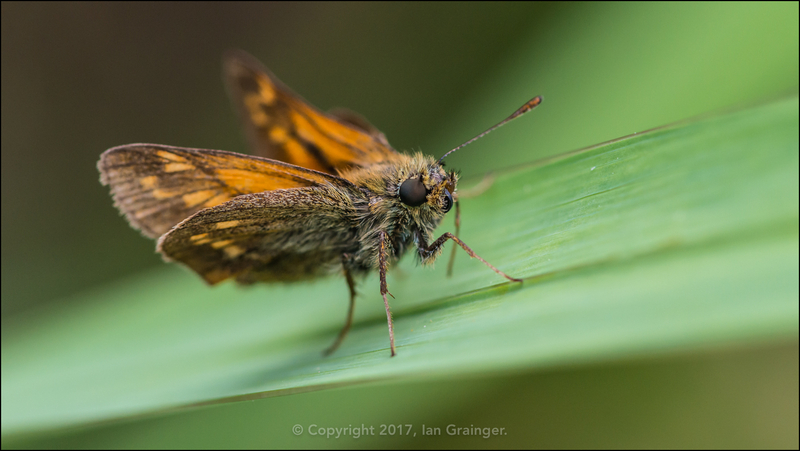 I'm kicking off with a first for me, a Large Skipper Butterfly (Ochlodes sylvanus). 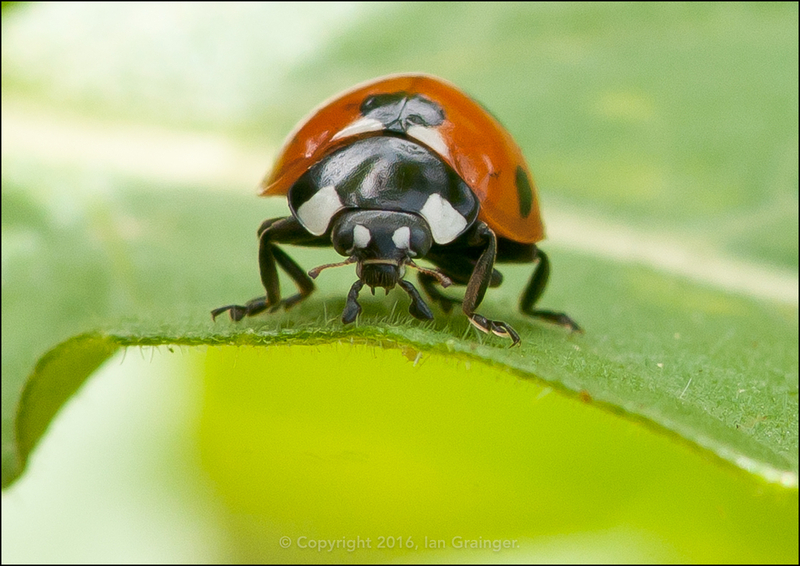 Of course, I've seen these little guys before, but have never managed to get up close enough to one to get a decent picture. 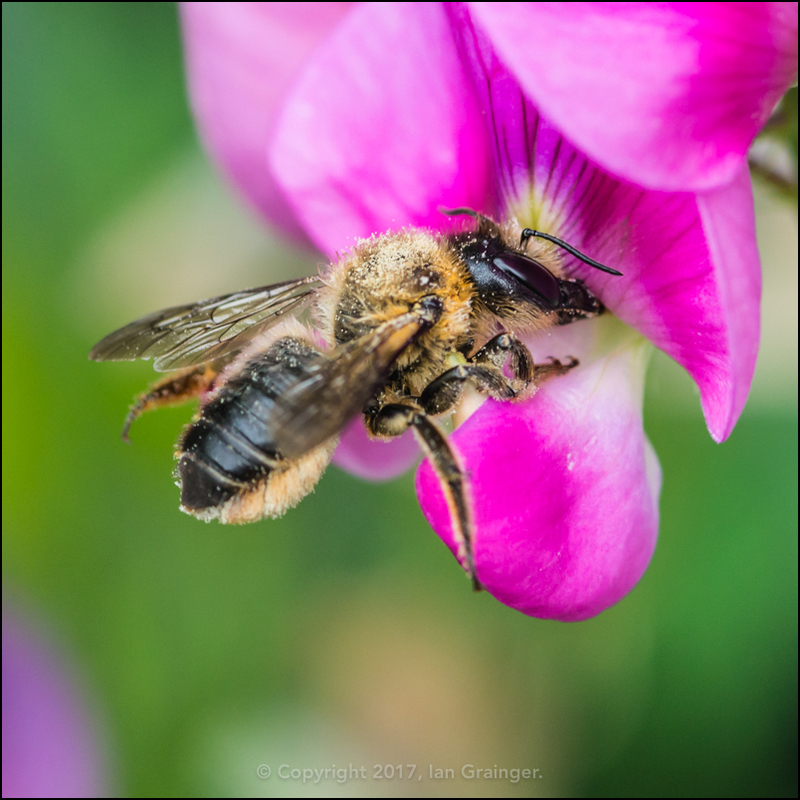 ...while this one preferred the pollen from a Sweet Pea (Lathyrus odoratus). 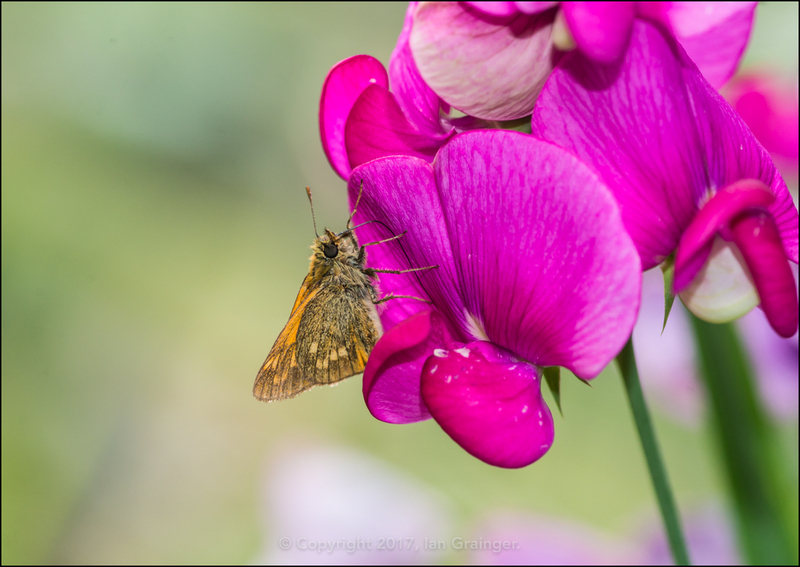 You can see, by comparing the butterfly to the size of the Sweet Pea bloom, that the Large Skipper isn't actually that large at all! 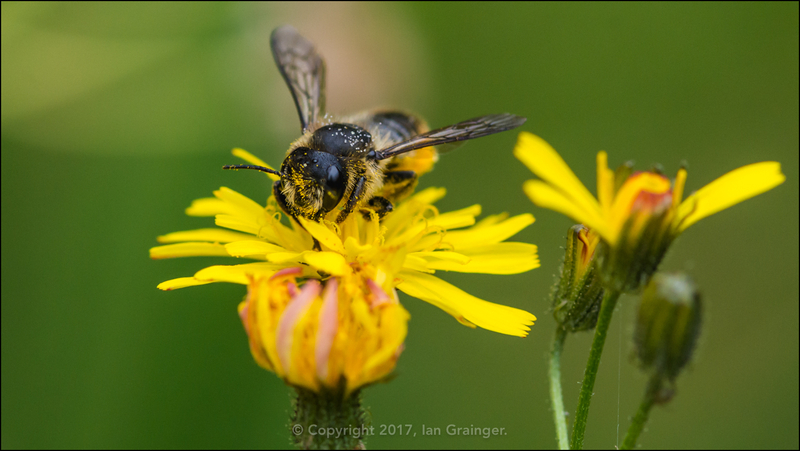 This is illustrated further when comparing it to the size of this Leaf Cutter Bee (Megachile centuncularis) visiting a similarly sized flower. This Leaf Cutter Bee preferred the pollen of a native weed, whose name escapes me for the moment, and was having a good rummage around in all of the flower heads getting absolutely covered in grains of pollen. 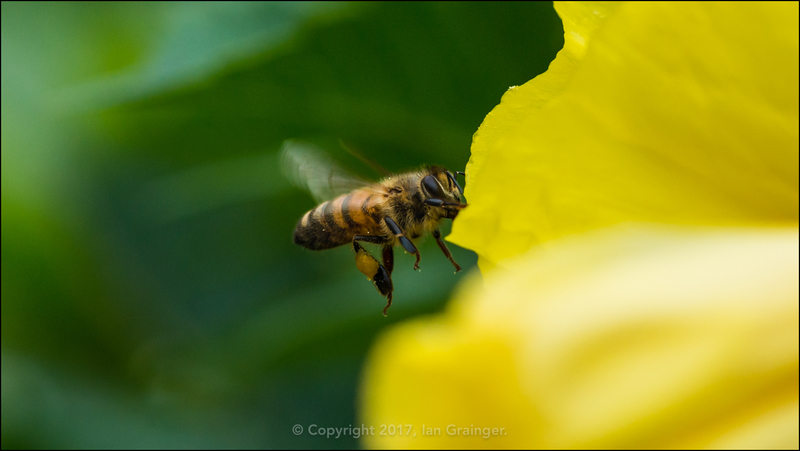 I was quite pleased to catch this Honey Bee (Apis mellifera) in flight as it arrived at an Evening Primrose (Oenothera) bloom for pollen collection. 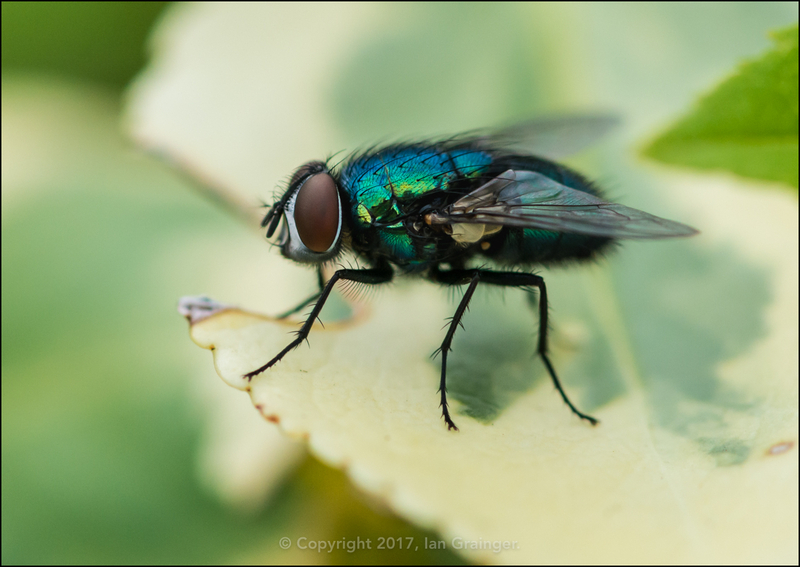 There were plenty of Greenbottles (Lucilia caesar) buzzing around the place, and this one was kind enough to pose for me while I got a decent portrait of it. 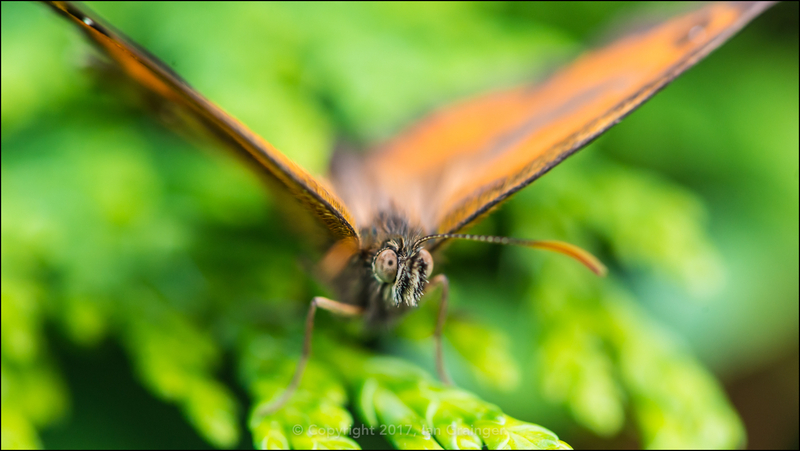 As the whole article this week is about insects, you may be interested to read my tutorial. 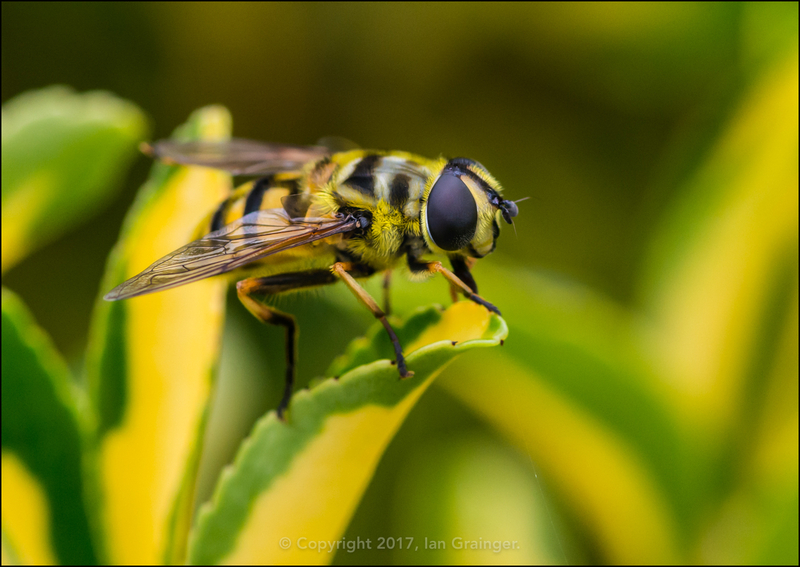 Entitled Insect Safari, it explains the equipment and techniques I use to locate and photograph insects. 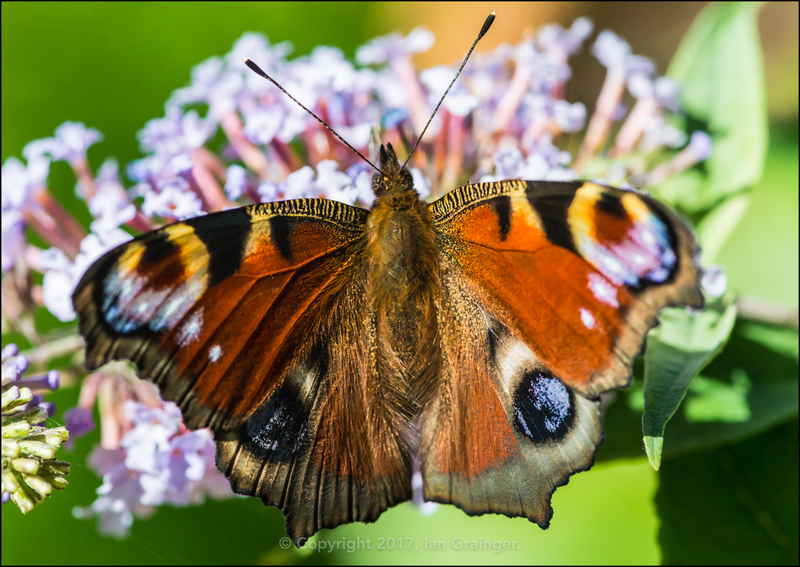 Why not click on the link to check it out? 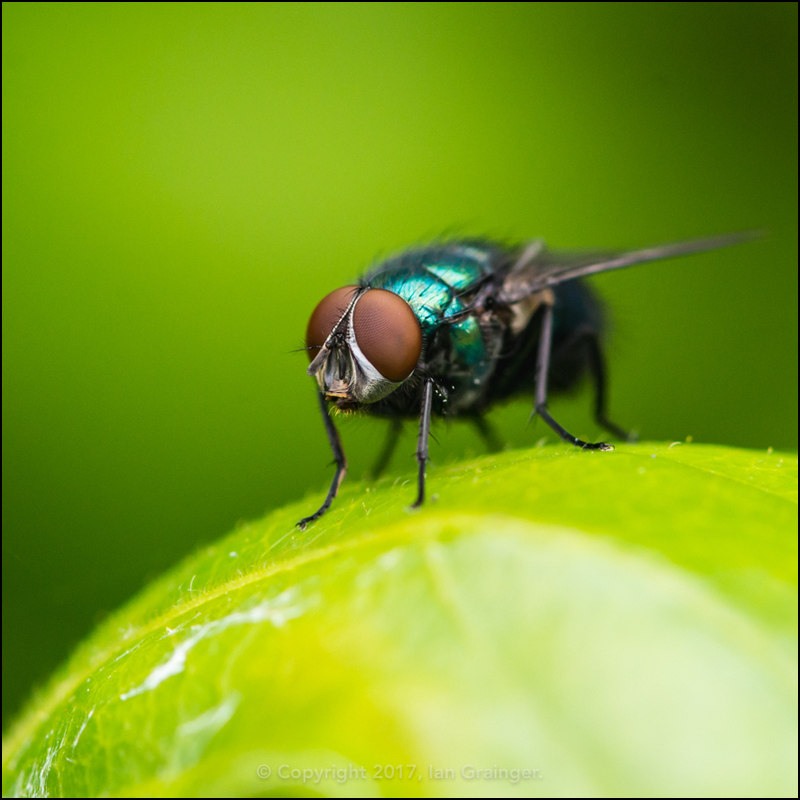 I was very impressed that you could see myself and my camera reflected in the shiny green body of this Greenbottle. Do you think mirrors with this colour and texture could ever become popular? Without the hair maybe? I had to do a bit of hunting to find my next subject. 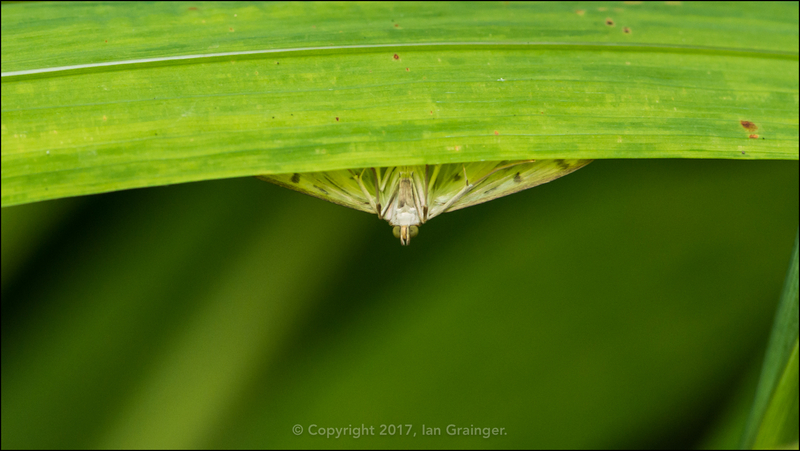 This Moth (Lepidoptera) didn't like to be out in the daylight, and went for cover every time I got close to it. 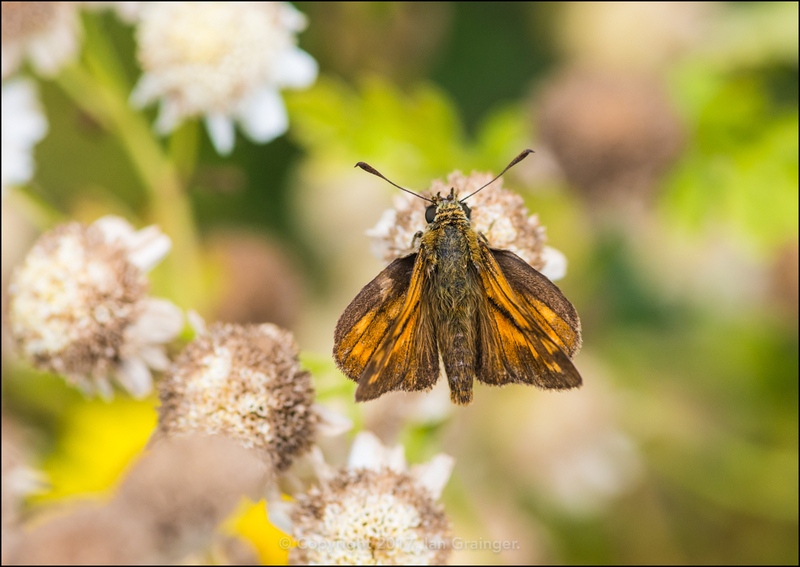 Unfortunately, he was better at hiding than I was at seeking, so I didn't get a shot I could identify him from. 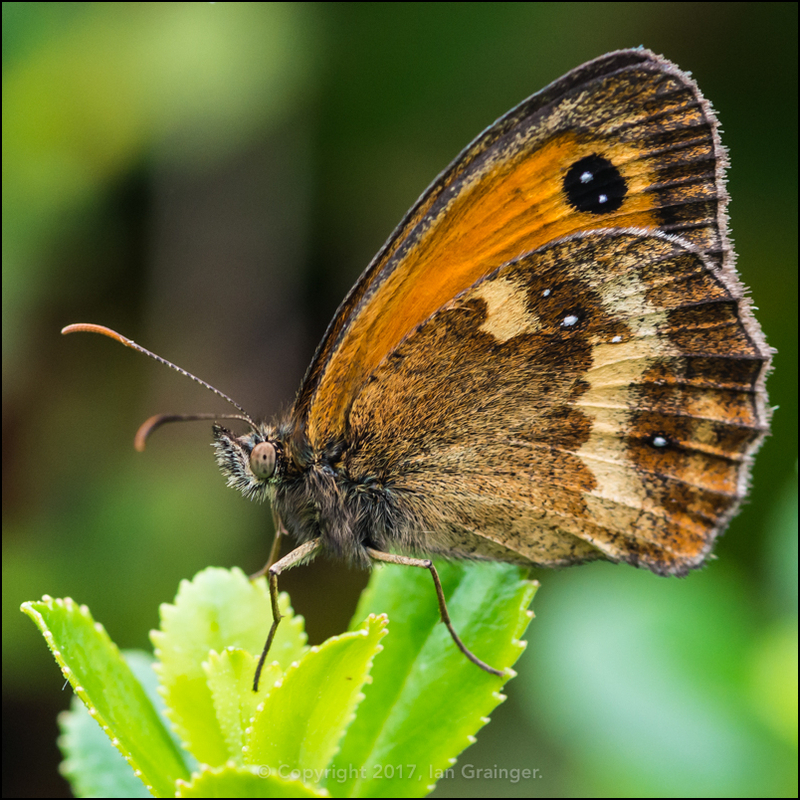 On the flip side of that was this Gatekeeper Butterfly (Pyronia tithonus), who was only too pleased to pose for the camera, and who blames him? Isn't he a stunner? He even let me get close enough to get a portrait shot, although I really think he should have trimmed that nose hair before appearing on camera!! ...while this one was most definitely trying to be a Hornet, and was almost an inch long. 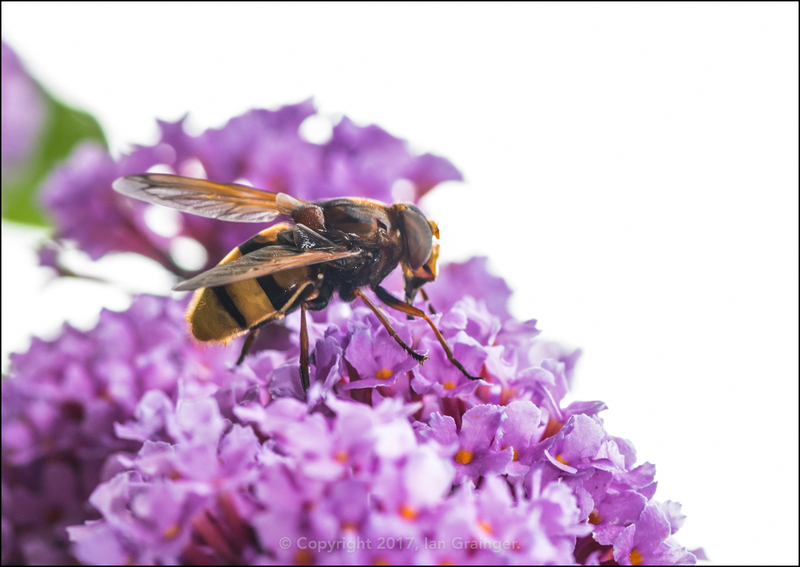 I'm not completely certain, but I think this is a species called Volucella zonaria. 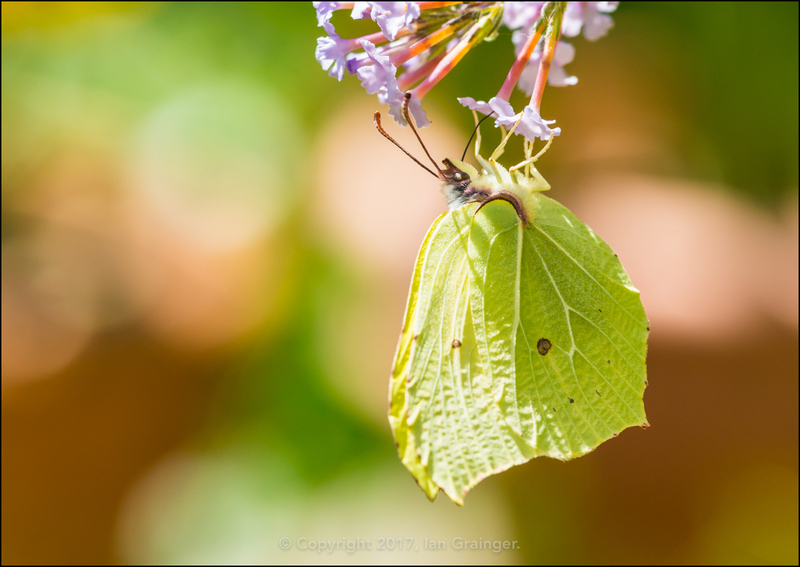 I was actually waiting by the Butterfly Bushes (Buddleia) in an attempt to photograph Butterflies, funnily enough. 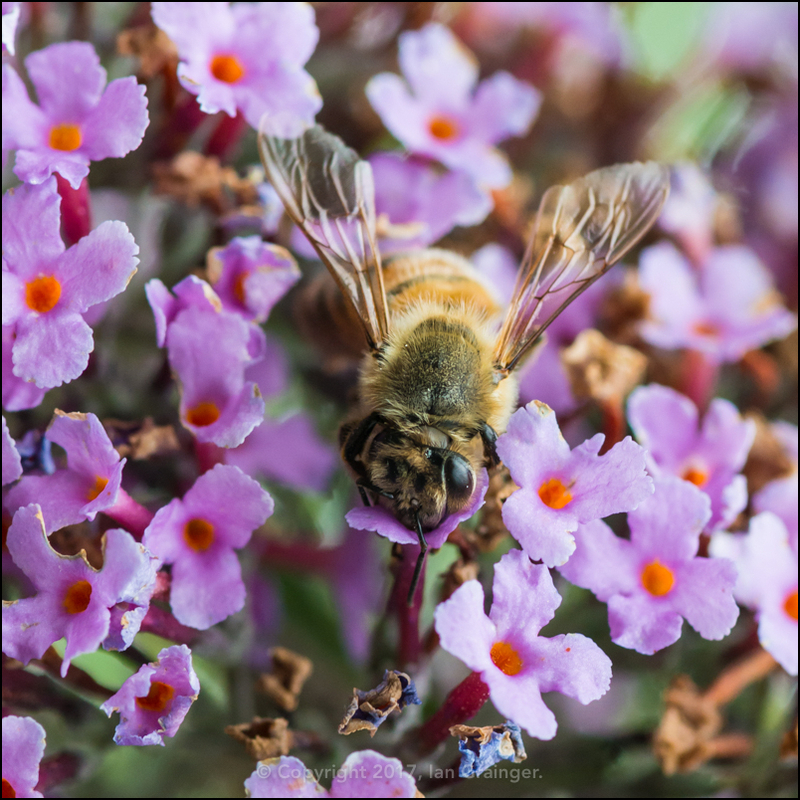 The only problem was that they were being visited more by Hoverflies and Bees, like this Honey Bee. 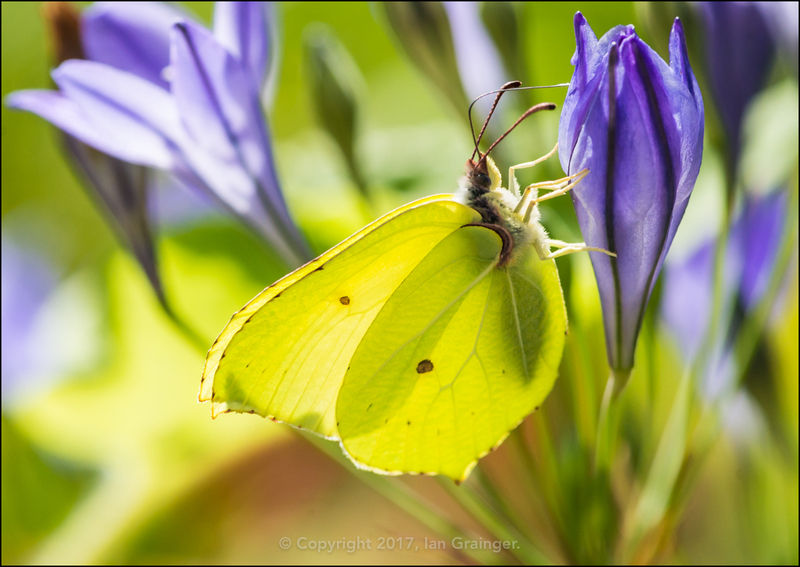 ...which was closely followed by a first for my garden, in the form of a Brimstone Butterfly (Gonepteryx rhamni). In fact the Brimstone was sampling everything is sight, and particularly liked these blue Triteleia laxa flowers. 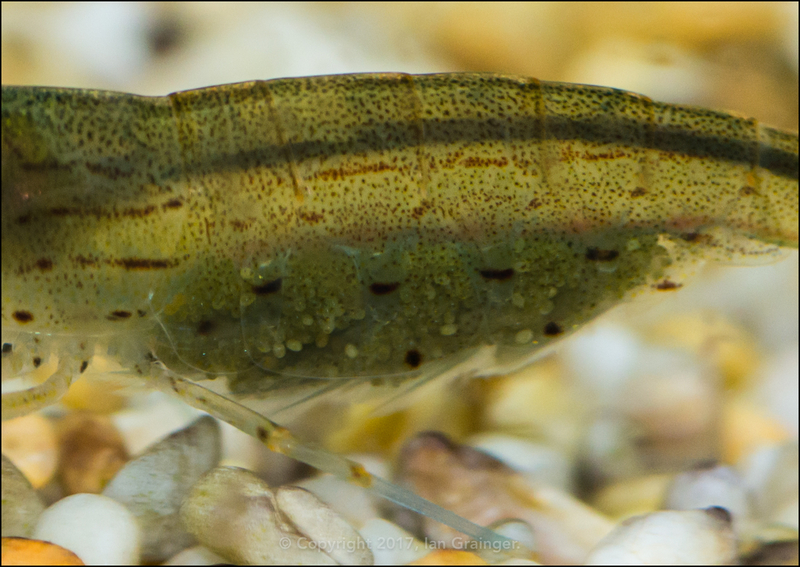 Okay, so I said I'd handed over this week's article to Insects, but these Amano Shrimp (Caridina multidentata) are sort of insect like, aren't they? They're definitely invertebrates. 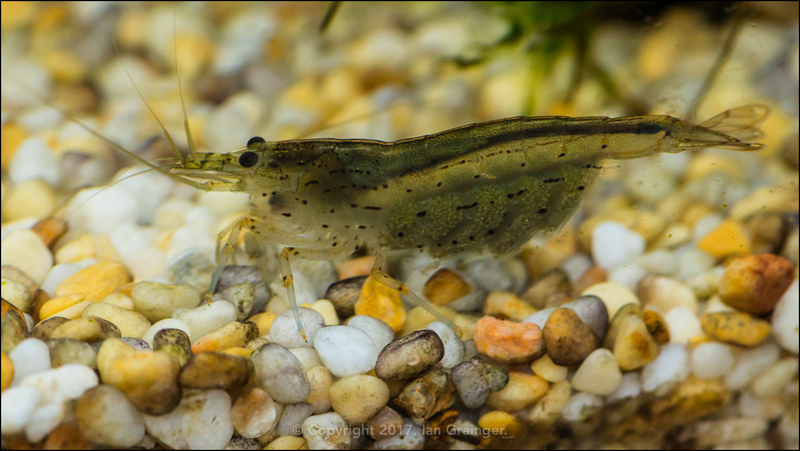 Anyway, I thought it would be interesting to show you one of the females in my aquarium which is carrying eggs. Unfortunately, although once fertilized, the eggs will probably hatch, the young require brackish water to develop and survive, which obviously can't happen within a freshwater aquarium.